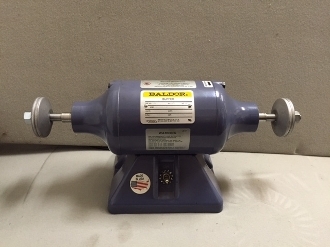 The 114 buffer is designed for buffing small ALUMINUM trim pieces and other small parts. It is also good for any other softer metals like copper, brass, silver, and gold. Rpm is 1800. Use 6" airway or 6" full disk pads. Use the full disk pads for very small snag prone parts.